Whether one of your appliances breaks down and can't be repaired, or your remodeling your kitchen and want all new appliances put in you need to first get rid of those old appliances. If you live in Manhattan you know that getting rid of those unwanted appliances in NYC is no easy task. Not only are you limited as to what and how many bulk items you can set out for collection, but there are also certain rules and regulations you need to follow in order to have any appliances such as refrigerators and air conditioners that contain freon removed from your home. There is the problem of actually moving those big, bulky and heavy appliances to the curb to be picked up. If you live in one of Manhattan's many walk up apartment complexes getting those bulky appliances out of your home may prove to be a difficult and back breaking task. 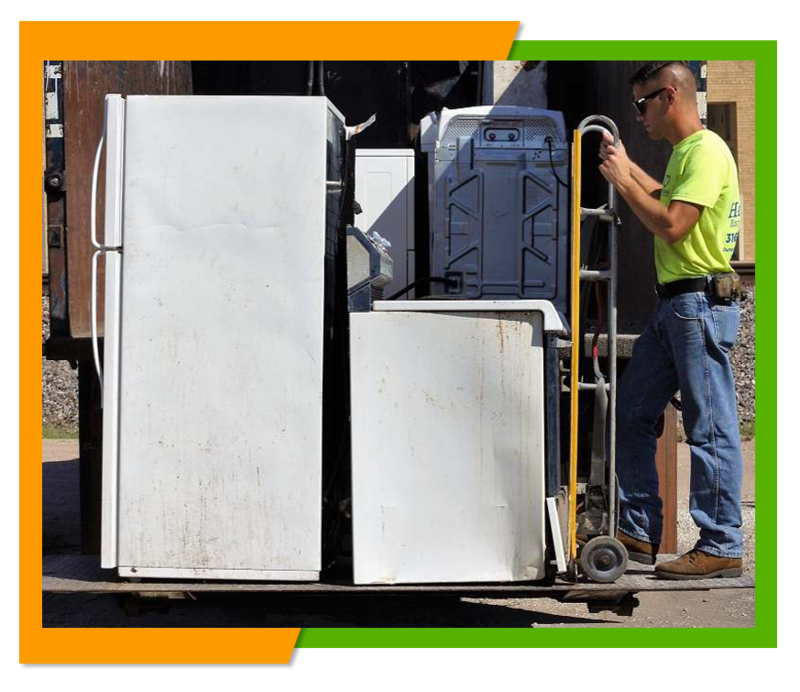 Why not let our company Flat Rate Junk Removal take care of removing those appliances for you? At Flat Rate Junk Removal we can offer you a convenient and easy way to get your appliances removed. All you have to do is a call and arrange a time when you want those appliances removed and our two man crew will show up on time. After that all you have to do is point out the item or items you want to remove and we will do all the heavy lifting for you. In addition, you won't have to make any special appointments or worry about having to pay a fine to have those items using Freon removed. We can take them away for you and have them disposed of properly. If you are simply remodeling and some of your appliances are still useable we will find somewhere where those appliances can be given an additional life as they will be useful to people on a budget who needs a good second hand appliance. Those appliances that are no longer useful we will dispose of in accordance with all regulations. 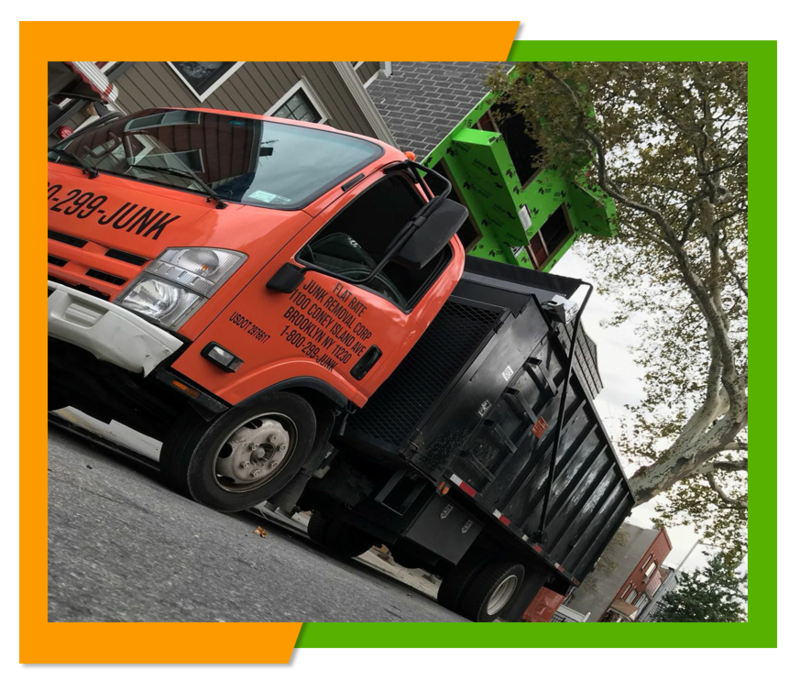 Best of all, unlike some junk removal companies that charge extra for large and heavy items such as freezers we stick one flat rate so that it doesn't matter how large or how small the items are that you want to have removed, you won't get charge extra nor will there be any hidden or unexpected costs when you hire our junk removal service. We tell you the price right up front. To get an idea of what we charge for individual appliances we have a price listing right here on our website at www.flatrate-junkremoval.com or if you have several items or a mixed load you need carted away you can call us and we will send someone to give you an estimate of the cost. To request and estimate or make an appointment to have appliances removed just give us a call at 1-800-299-5865.